…it has a hamster police force band. Either that, or it’s advising the people in Kawasaki to lock their doors. I think. I have no clue. 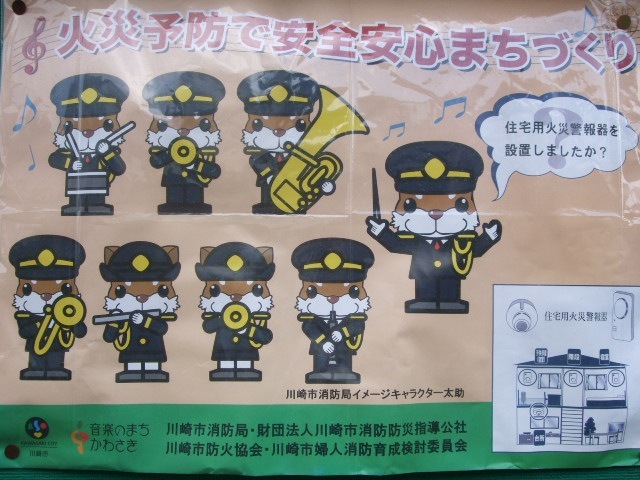 For all I know Japanese wise, there really could be a hamster police force band.